Home NEWS	GIOVANNI OKAGBUE WINS THE MAIDEN EDITION OF THE ARINZE ORANYE MATHEMATICS SCHOLARSHIP AWARD. 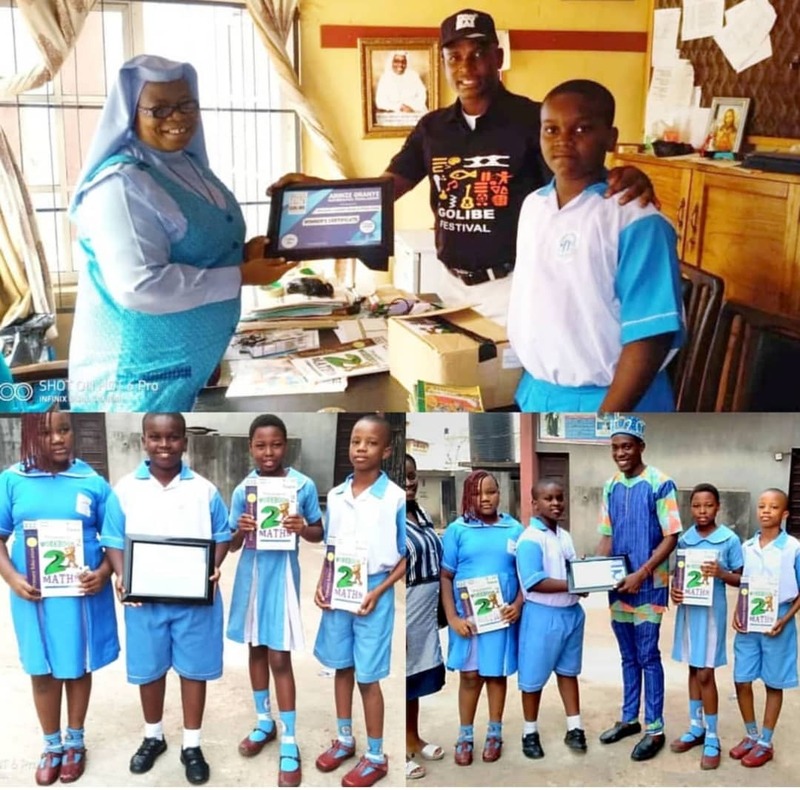 Arinze Oranye Foundation in conjunction with Golibe Festival has provided a primary six student of Immaculate Conception Nursery and Primary school named Giovanni Okagbue with a five year scholarship prize, 150,000 naira, 1 laptop and other prizes after he won the maiden edition of the Arinze Oranye Mathematics Scholarship award. The scholarship was spearheaded by Arinze Oranye who is a United kingdom based mathematics teacher and author with the aim to empower Onitsha children in primary and secondary schools with the necessary tools required for adaptations in their future encounter. As part of the numerous gifts awarded to Giovanni, the Arinze Oranye Foundation also provided the school that tutored the math whiz with a hundred mathematics books as promised.